As Japan races to preserve U.S. trade ties after President Donald Trump withdrew from a Pacific trade pact, Prime Minister Shinzo Abe faces a dilemma that has plagued Japanese leaders since the 1980s: How to convince his citizens to buy American cars? Trump singled out Japan for failing to purchase U.S. vehicles when he formally pulled out of the Trans-Pacific Partnership agreement on Monday. Japan is the second-largest economy among the 12 TPP member nations and has been one of its leading advocates. Abe has given no indication he’d entertain a TPP without the U.S., even as that goal is pushed by Australia. He told the Diet he still hoped to convince Trump of the merits of the agreement — a prospect that no other Asian TPP leader shared in statements on Tuesday. 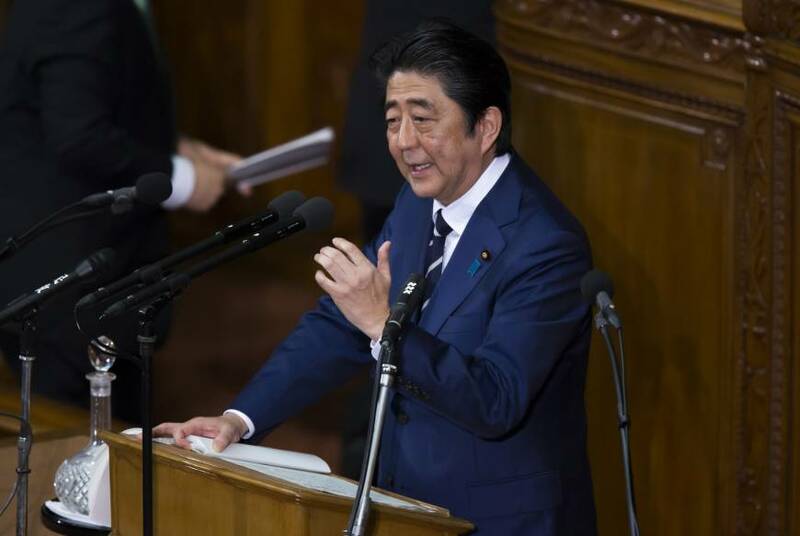 Abe must now consider whether, or how, to placate the new U.S. administration, something Japan has done at other times since World War II to maintain healthy ties with its main security ally. Hemmed in by a nonnuclear pledge, Japan relies on the U.S. to provide a “nuclear umbrella” to protect it from regional threats, including from China. Any retreat from the TPP has the potential to damage Abe at the polls — in championing TPP he risked the wrath of the farm lobby that has been a key part of his party’s political base. 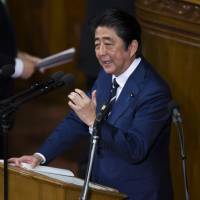 Still, he can delay a decision on whether to now seek a bilateral trade deal until after an election that could come late this year or early in 2018, according to Hiroyuki Kishi, a former trade ministry official who is now a professor at Keio University. Abe’s approval rating remains high and the main opposition party, the Democratic Party, is weak. Trade minister Hiroshige Seko rejected that characterization on Tuesday. Japan has the fourth-largest trade surplus with the U.S. after China, Mexico and Germany. It exported more than 1.6 million vehicles to America in 2015, while the U.S. sold less than 19,000 vehicles to Japan. 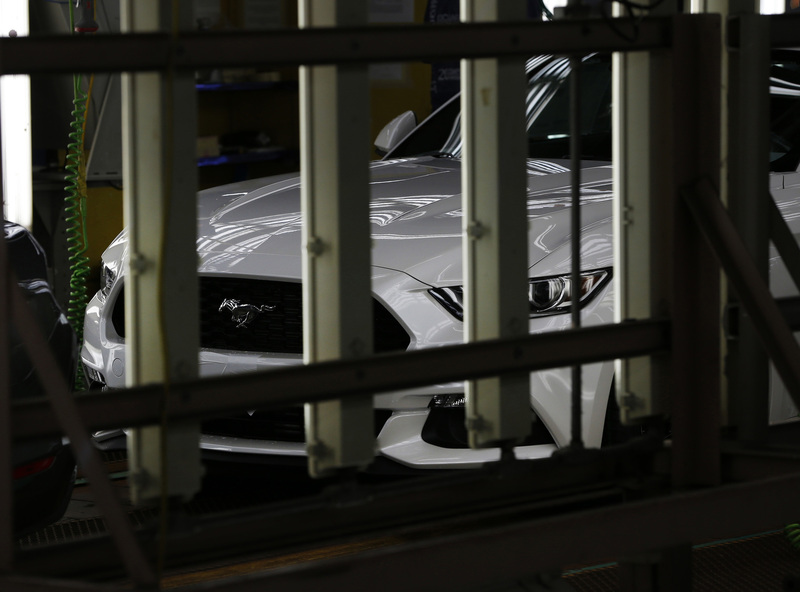 Despite that, about 418,000 cars and trucks were exported from Japanese auto plants in the U.S. to other countries in 2015, according to the Japan Automobile Manufacturers’ Association. 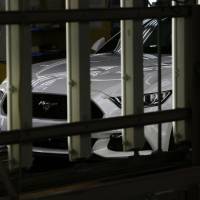 Some 75 percent of Japan-branded cars sold in the U.S. are built in North America, it said, without providing a breakdown of how many were made in Mexico — another Trump trade target. Representatives for Honda Motor Co., Nissan Motor Co. and Fuji Heavy Industries Ltd. declined comment Tuesday on the U.S. pulling out of the TPP or Trump’s comments. Toyota Motor Corp., which was criticized by Trump over its plans to build a plant in Mexico, announced it would invest $600 million and add 400 jobs at an assembly plant in Indiana. The Obama administration had touted measures in the TPP to address nontariff barriers that hinder American vehicle exports to Japan. They included transparency in Japan’s regulatory process, eased restrictions on standards and new technologies, consistent zoning rules that make easier to sell throughout the country and a safeguard in case the TPP led to a surge in imports after tariffs were eliminated. Now Japan must consider whether to move forward on a bilateral deal with the U.S., something the Trump administration prefers. Jun Okumura, a former trade negotiator for Japan who is a visiting scholar at Meiji Institute for Global Affairs, said it’d be fairly straightforward to transfer the provisions of the TPP into a bilateral agreement. Yet Trump would need to be able to say he got a better deal, and it’s unclear what that would mean for Japan. Instead of a trade deal, Trump may find his branding experience more useful. Many Japanese eschew U.S.-made cars for a simple reason: a perception of poor quality.